I-75 Exit 266, west on County Rd 579 to first left (Hidden River Pkway) then left onto Morris Bridge Rd. Look for the homemade conical tower and assorted surfboards. “Black Bird of Key Largo” The allurement of the winds blowing in the palm trees and the moon shining through and the “Black Bird of Key Largo” looking upon. 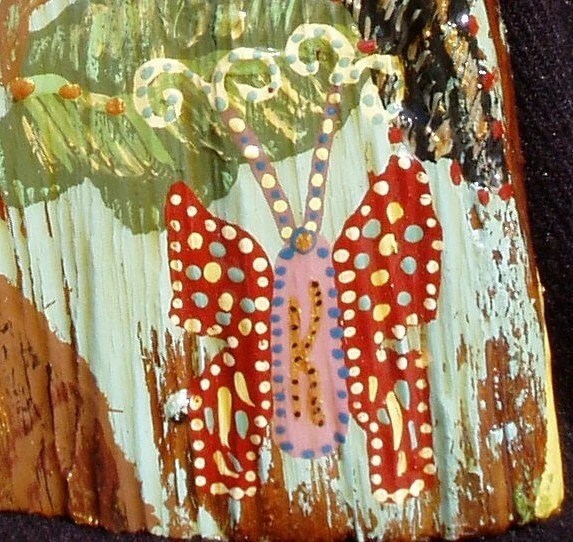 Hong Kong Willie **HONG KONG WILLIE artist Kim Brown, chose aged Florida sawmill stock as canvas. 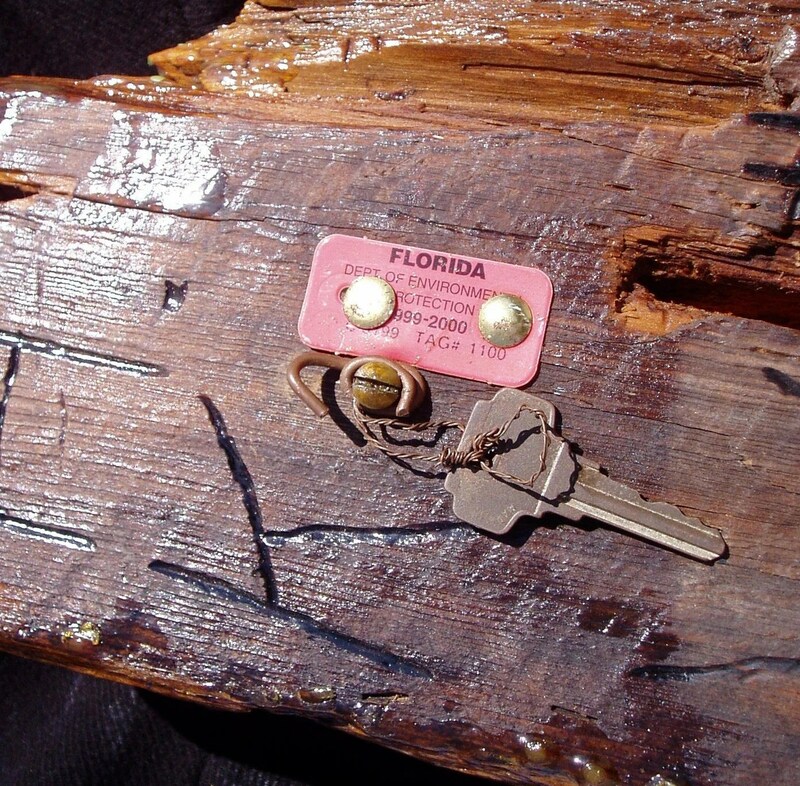 Recovered Brass Hanger: Key West lobster trap rigging. 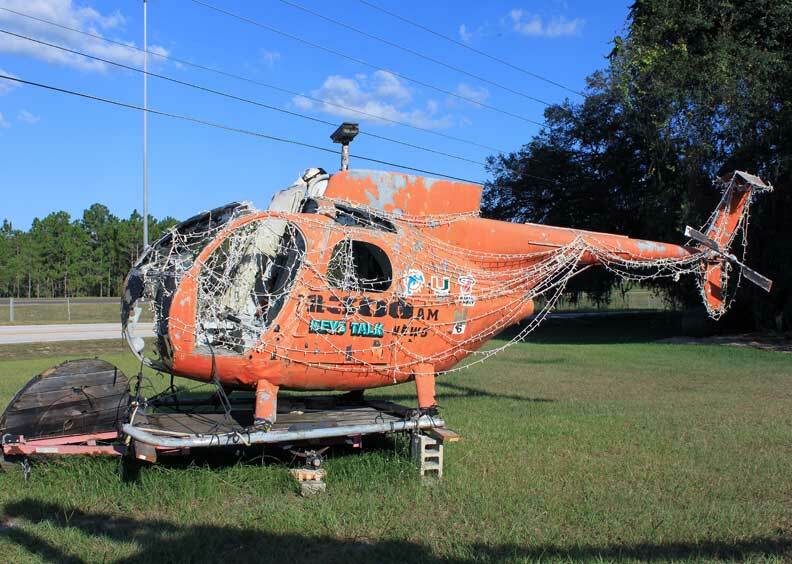 Originally connects and suspends rigging of spiny lobster traps in Key West waters. Candy-like appearance due to multiple protective layers. 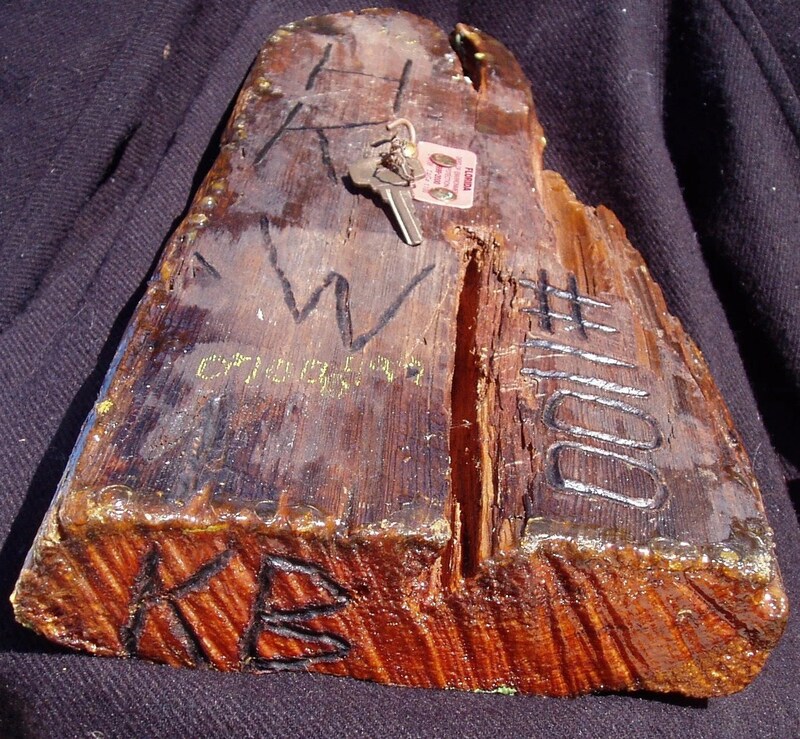 Assigned number in artist register by Fisherman ID tag, corresponding burn-etched # rear of piece. Key recovered by Robert Jordan, acclaimed treasure hunter: also in identification of piece and artist. Dimensions: 24″ L 8″ W 4″ H Weight: 17+ LB Artist Born for this time, Lived on a landfill as a child. Reuse Became the way of life. To read the story from the inception of the Name Hong Kong Willie. Famed, by the humble statements from the Key West Citizen, viable art from reuse has found its time. To Live a life in the art world and be so blessed to make a social impact. Artists are to give back, talent is to tell a story, to make change. Reuse is a life experience. Hong Kong Willie Art Gallery In Tampa, a reuse Art Gallery. Artist Kim,Derek,and Joseph. reuse artist that have lived the life and are meant for the green movement in the world. A gallery that was born for this time. 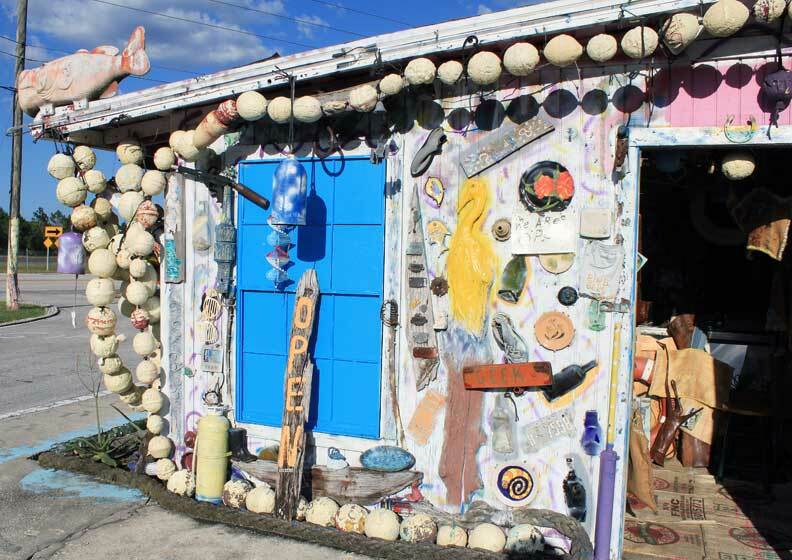 Artist living a freegan life,art that makes a social statement of reuse. Media that has a profound effect in making the word green truly a movement of reuse in the world today and the future. 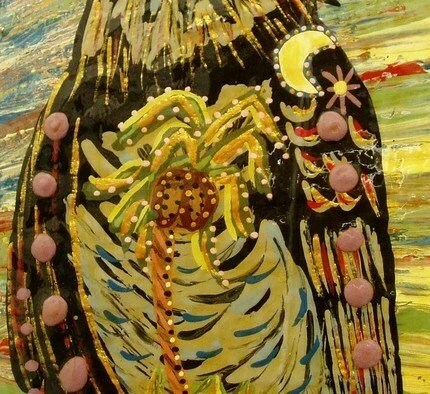 Tampa Has A Very Unique Famous visual artists Hongkongwillie. Business more than kitsch,Famous visual artists Tampa. 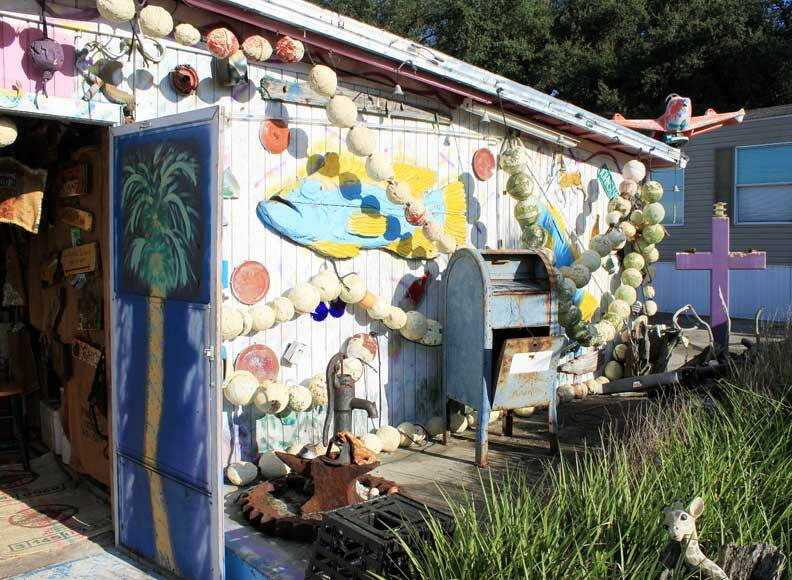 Co-owner Kim Brown paints lobster buoys recently at the roadside business. providing trend analyses to businesses, finds satisfaction in the work. 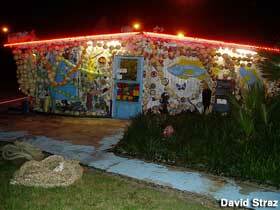 blue-and-white house covered with trash remade into art. It’s the home of Hong Kong Willie, artist of reuse. up the “tree” I marveled at so often from my car window. 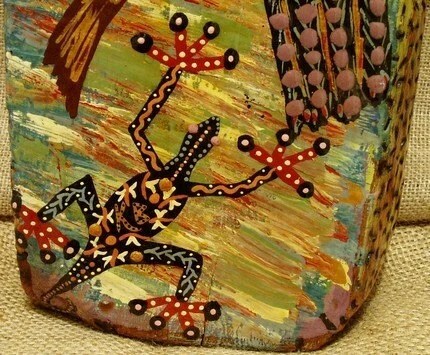 After a few basic questions, Joe Brown begins to open up about the history surrounding his art. As a young boy, his mother decided to send him to art school, which he says changed the course of his life forever. Willie, to Hong Kong for his nickname Hong Kong Willie. While Brown grew up to be an artist, he left the world of mainstream art to return to his background in technology. been making art out of recyclables for close to 30 years. A portion of the proceeds go to benefit the Green Movement, Brown says. With a laid-back swagger, Brown continues. “We live pretty minimally. Sometimes, it’s the smallest experiences that have the biggest impact on a person’s life. While attending an art class in 1958 at the age of 8. Hong Kong Willie Art Gallery In Tampa, a reuse Art Gallery. Artist Kim,Derek,and Joseph. reuse artist that have lived the life and are meant for the green movement in the world. A gallery that was born for this time. 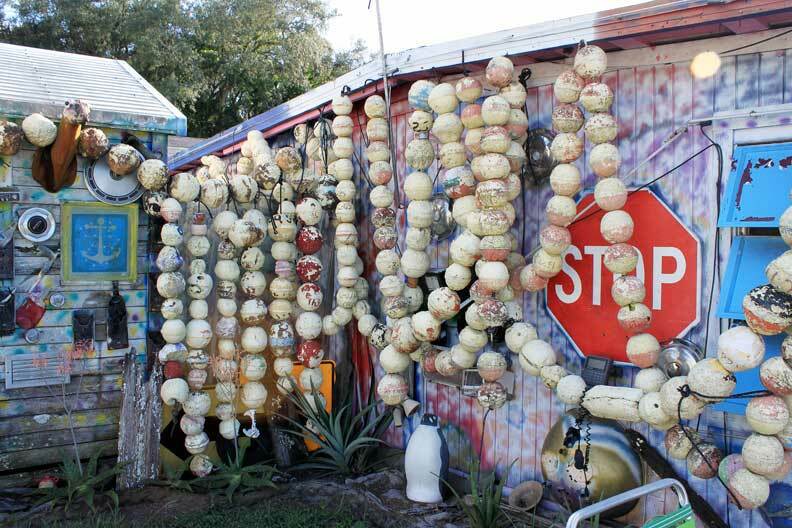 Artist living a freegan life,art that makes a social statement of reuse. Media that has a profound effect in making the word green truly a movement of reuse in the world today and the future. 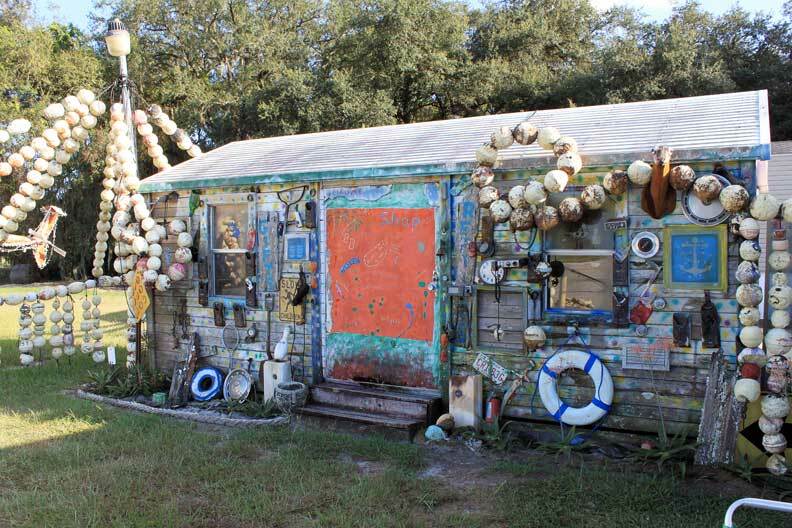 Famous artist raised on Tampa city dump,like living in the Penthouse in the upper east side. carefully. Our children and our world need a different understanding. Gerber baby bottle till this day. Hong Kong Willie. Watching the Paint ,a Great exploding of Colors from the truck hit the pit. What a memory.Was this the beginnings of Green for i.
transforming a Gerber baby bottle into a piece of art. volunteer work in Hiroshima, Japan, helping atomic bomb survivors. the name “Willie” a year later. Avenue where he and his family still call home. and his family put together. Trash? There is no such thing, Brown seems to say through his art. He keeps a blog about his art at hongkongwillie.blogspot.com. He also sells his creations through the Website Etsy.com. Of course, the real locals know Brown’s place for the quality of his worms. For prices and amounts, he has another blog dedicated just to worms. 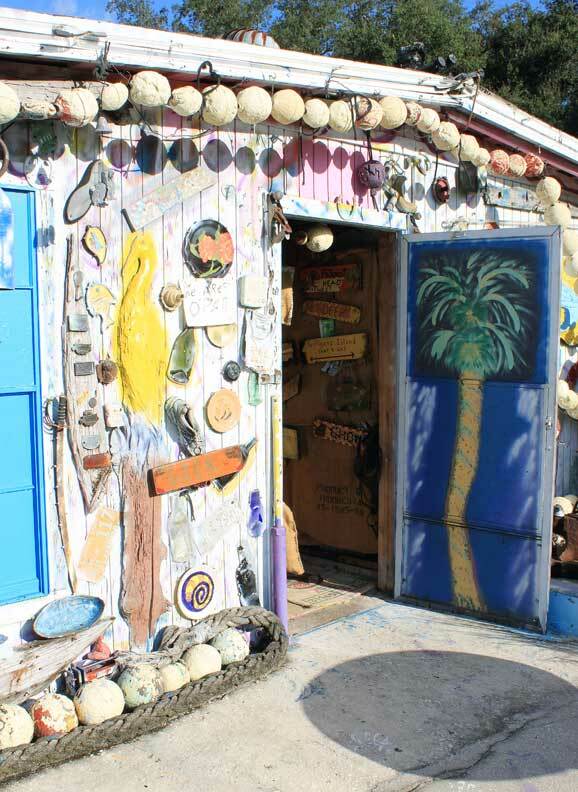 of driftwood, planters and other items lining the walls of his store. He’s also helped put his mark on the decor of local establishments too, such as Gaspar’s Patio, 8448 N. 56th st.
assignment, and that was his good friend Brown. restaurant’s atmosphere he created using the “trash” supplied by Brown. his work. He simply lets his work speak for itself. It,(was the dump) that had all this media, and a young enterprising mind. Not enough time to capture it all. 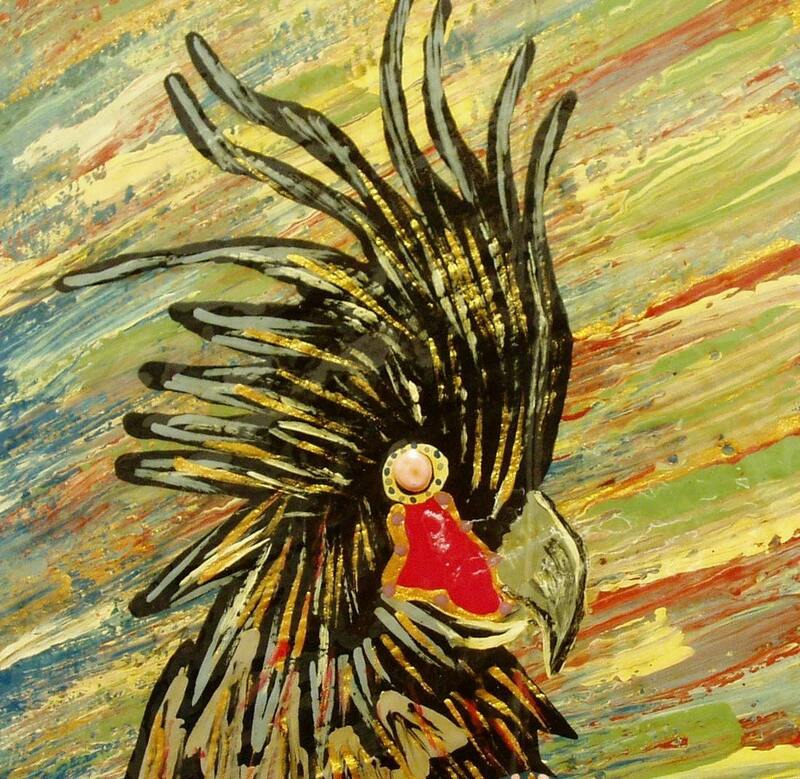 higher calling in life — he was destined to be an artist. When Did the U.S. Environmental Movement Begin? 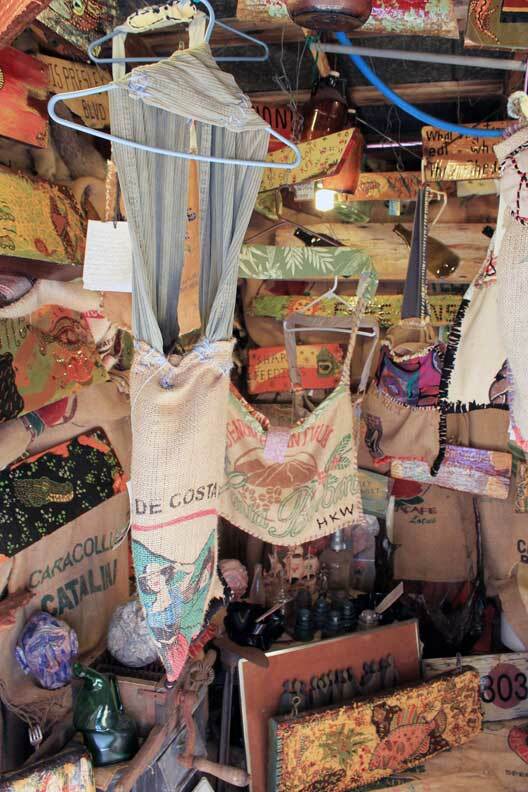 with burlap sacks from South American coffee roasters. 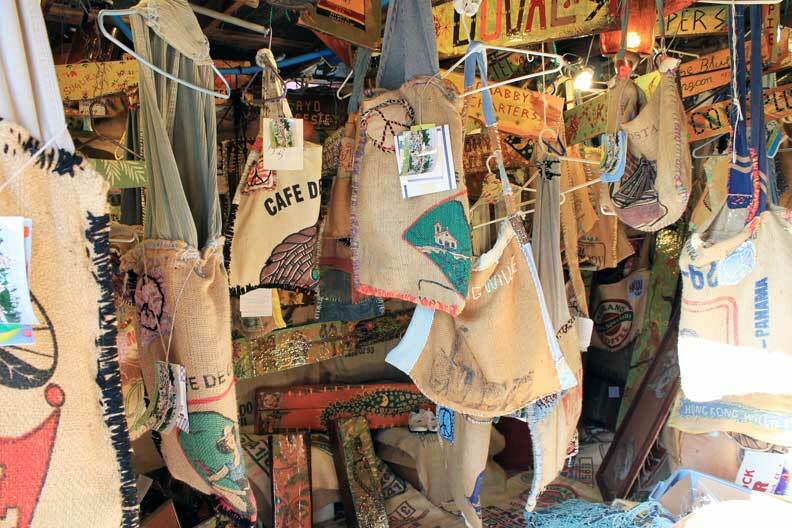 They also buy South American burlap coffee bean sacks. Derek Brown, 26, and his family own and operate Hong Kong Willie. “99 percent of everything that has gone into a piece of art has been recycled and reused,” Brown said. the name was created by his father, Joe Brown, in the 1950s. landfills, into an art form. 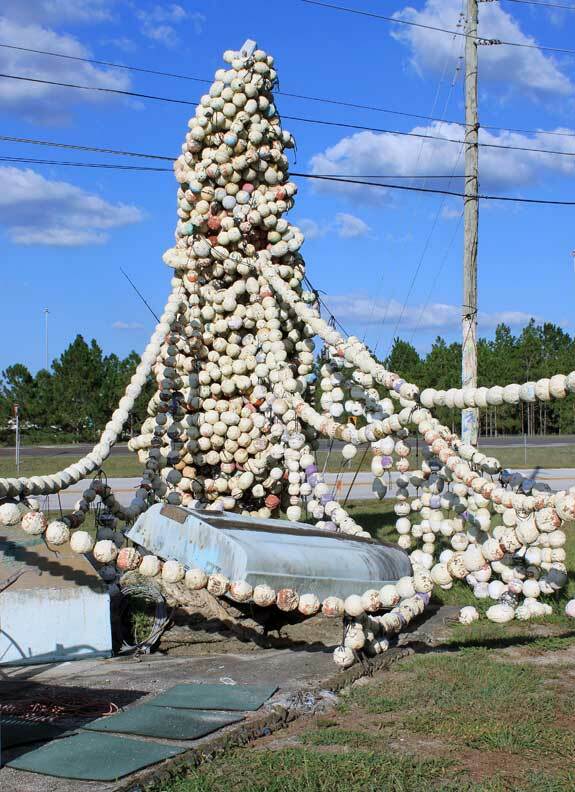 around the ‘Buoys Tree’ came from, the fishermen of Key West. we find a usage for those,” Brown said. A Tampa couple devotes itself to creating something from nothing. would have been otherwise thrown away.Kim looks up from her painting after Joe finishes his long ramble. useless merchandise that Americans buy and quickly throw away, he says. Frappuccino in it?” he says, holding up the $3 gift. “That’s not true. 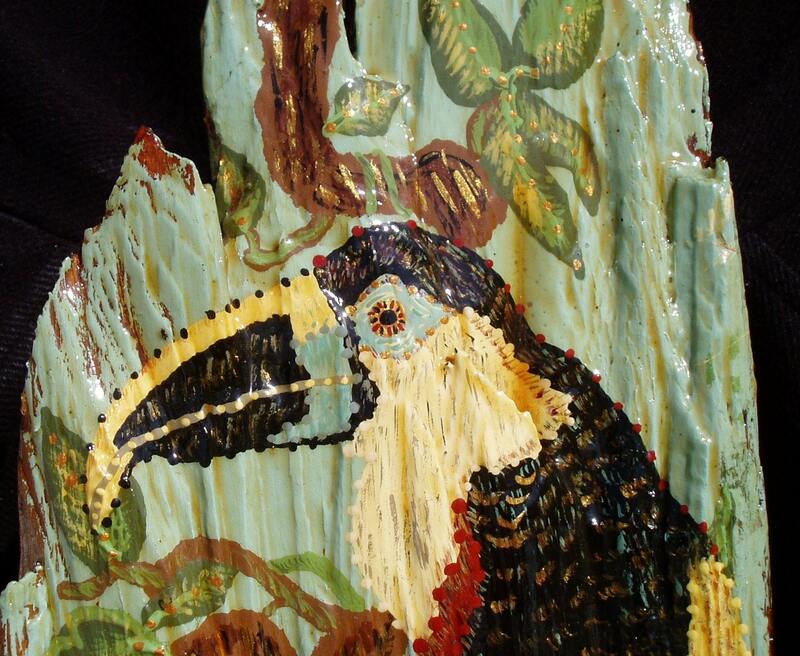 everything from colorful fish and birds to old Key West landmarks on it. “We’re not just sitting out here being weird,” Joe says suddenly. Authentic Key West influenced art. What once would have been sawdust spread to the wind, is now what you see here. 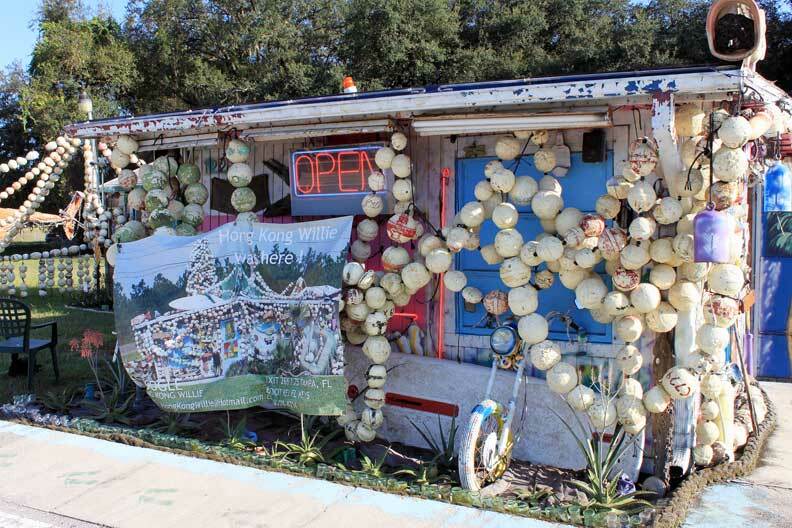 This entry was posted in road side attractions Tampa+Florida, Roadside America Tampa Florida and tagged Florida, junk art of hong kong willie, Tampa.. Bookmark the permalink. Artist Born for the Green Movement. Commercial+ worm+ farms+ in +Florida. elicottero OH-6 Cayuse per la vendita. GOD AND THE WIFE HE GAVE ME.